Stop poking me, I can't sleep! I dropped the idea of posting the WIP as I knew I will soon have a ready one. so no hazardoust to children below 3y - nothing to swalow or chocke ... unles it is crocodile child ..
hmm, will he get a special rule among pulpmonster rules too ? No, he will stick to his Giant Hadron act but I can already see him clashing with some villainous Monsters! He'll be right at home fighting giant Monsters. Just because he won't have "official" status as a monster doesn't mean you can't use him as one. Monsters, like Minions, are customizable so you'll be able to build out whatever you need. The amazing 50 foot woman...errr, I mean, man! I love it and can't wait to get one! Brilliant stuff there! See, I knew poking with sticks would work in the end. Now what else can we turn that technique to...? Yes, yes, yes! Now I can get all 3 at once. Outstanding! First, my Guide came earlier this week, and now this. Looking forward to it. 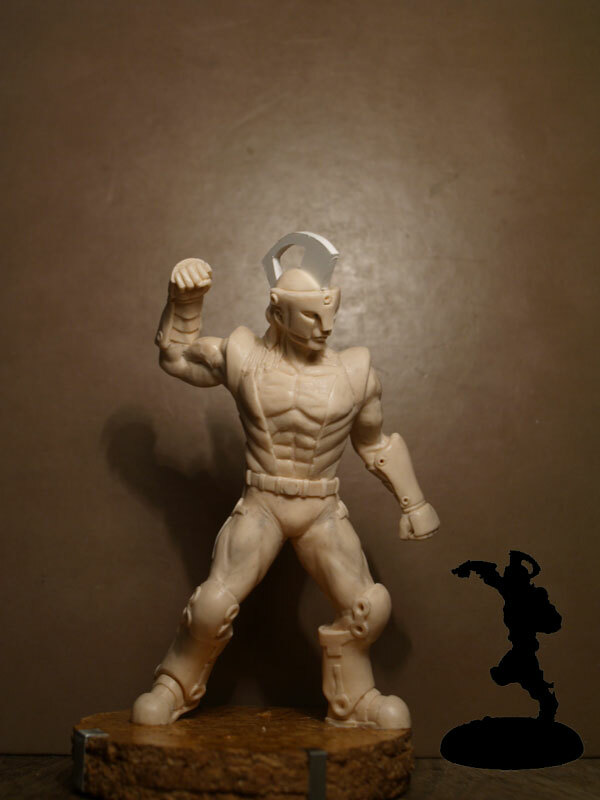 I'm guessing that it will be a resin sculpt? If not, that is going to be one beastly heavy "mini"
Long time away from the Forum and when I come back I find this!!! Great Looking Giant Hadron! Yes. If Hadron was cast in metal, he would have weighed 305 g (3/4 of a pound). This way he stays at healthy 60 g.
Any idea when you will be taking orders or pre-orders? 2. He looks just awesome! How could i not buy him?